I finished this cute little Heart in Hand today. It’s been sitting in my unfinished finished stack for literally 3 years now (I stitched it while on bed rest the week before Nicholas was born 3 years ago!). The great thing about this type of finish is that it’s a no-sew finish! My favorite type! 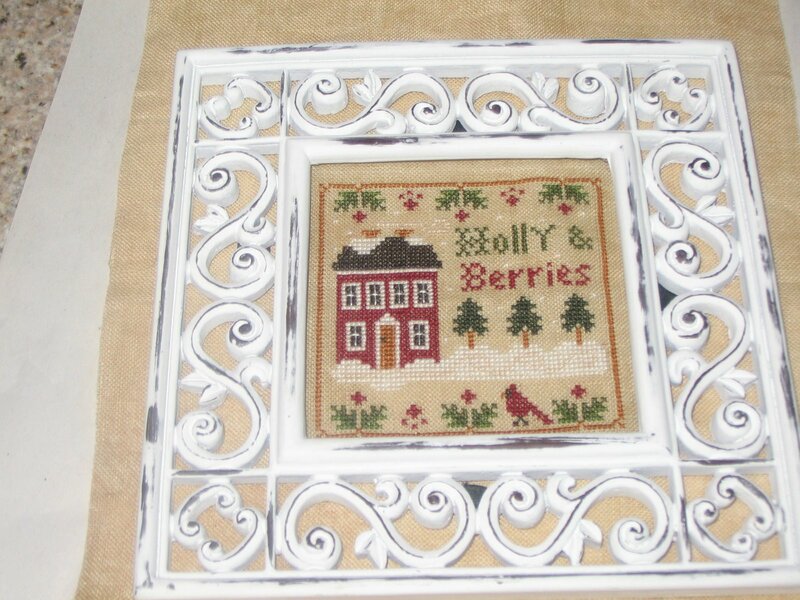 I’ve been working on this little freebie from Blue Ribbon Designs. I started it about a month ago and then it kept getting pushed to the side. 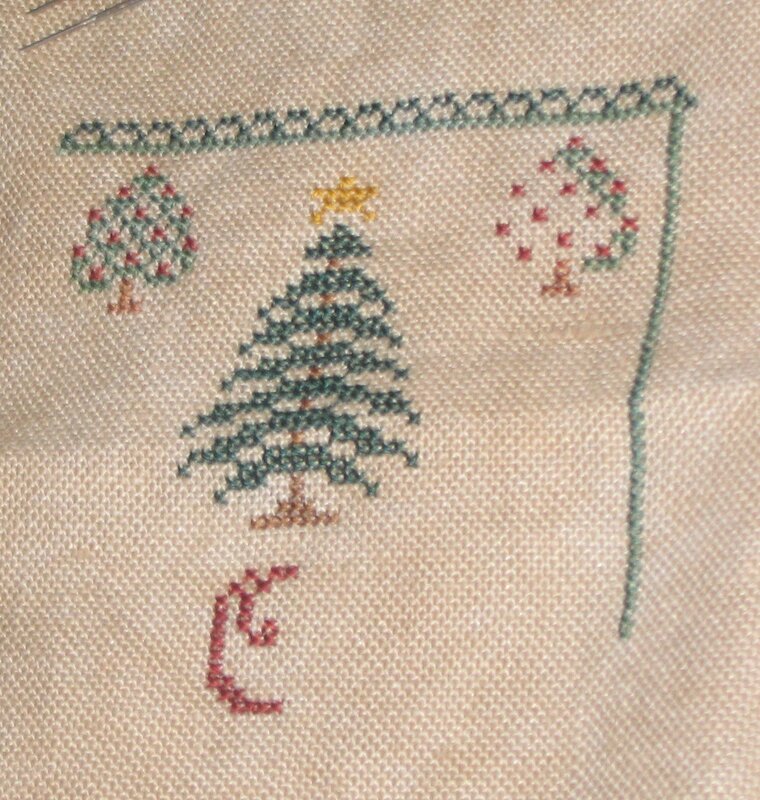 I’d like to finish stitching it before Christmas…but if not…then before 2009! 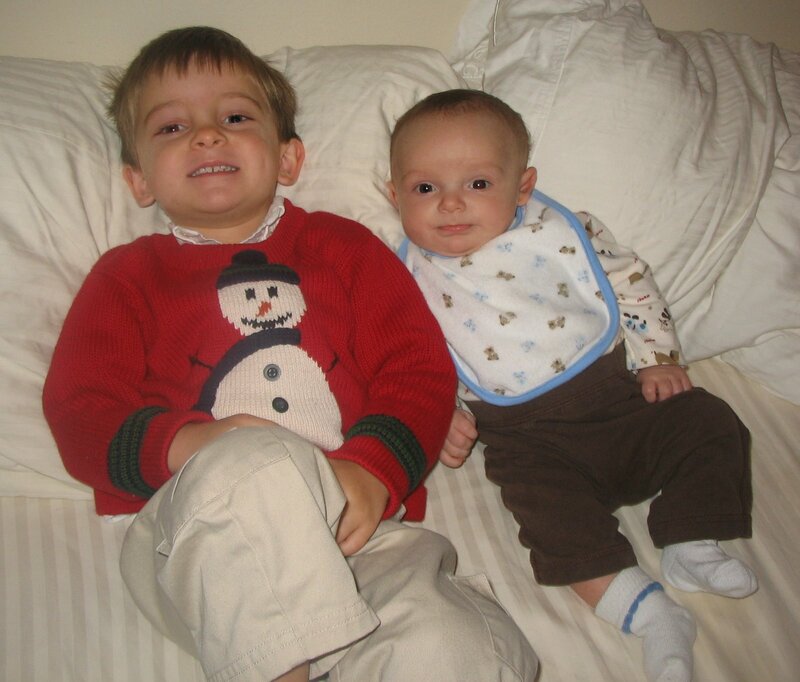 Lastly, here’s a pic of Nicholas and Jack before church yesterday…pretty cute!